Dineo Seshee Bopape, mabu/mubu/mmu, 2017. Soil, ceramics, herbs, crystals, coal, ash, sound. Photographs provided by the PinchukArtCentre © 2017. Photo by Sergey Illin. I first encountered the work of South African artist Dineo Seshee Bopape on a blisteringly hot day in Sharjah. 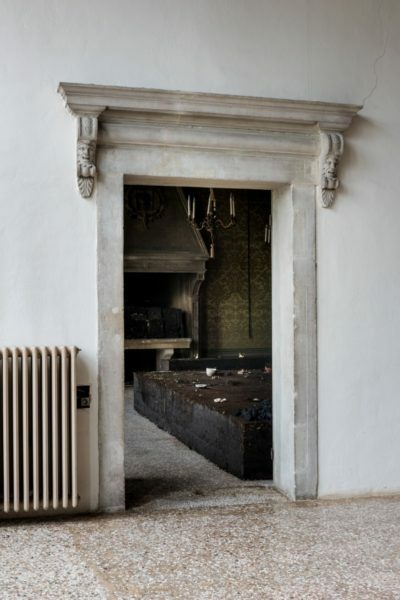 She had taken over a walled outdoor space and transformed it into the site of ritual, an informal shrine or sanctuary. Piles of bricks, some charred, emerged from the sand and atop them sat battered plastic bottles of sea water, pieces of red cloth, silver foil and glass receptacles, alongside local healing herbs, shells and gold leaf, oils and earth collected from across the African continent. These mysterious objects were placed according to an undisclosed logic, drawing on Afrodiasporic spiritual aesthetics. Against a backdrop of sun-bleached walls and a bright blue-tiled mosque, the work had a chaotic, primal power. Inspired by a South African protest song, the work is a meditation on what makes a revolution, where it is sparked in the human soul and how it spreads. It draws parallels between the political liberation of a land, spiritual liberation through revolt and the biological sustenance offered by the earth. The work’s title +/-1791 (monument to the haitian revolution 1791) (2017) pays homage to Haiti’s revolution against French colonial rule, said to have been triggered by a voodoo ceremony. 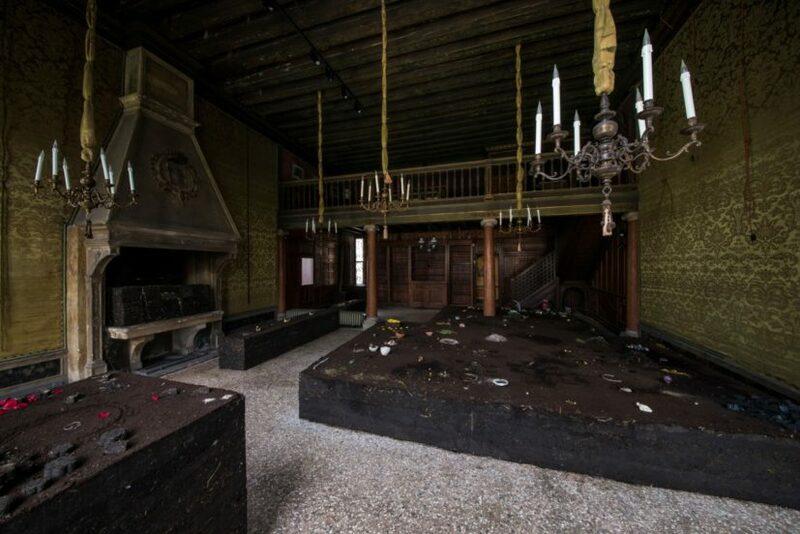 My second, equally exhilarating, meeting with Bopape’s work was in Venice earlier this month at the Future Generation Art Prize in the stunning setting of the Palazzo Contarini Polignac, on until 13 August. Bopape is the winner of the fourth edition of this global art prize for artists under 35, founded by the Victor Pinchuk Foundation in Kiev. Bopape was selected by an international jury, including the Whitechapel’s Iwona Blazwick, to receive a $100,000 prize. In a very strong show of the 21 shortlisted artists, selected from 4,500 applications, her work stood out. If you have come across Bopape’s work in the UK you may know her as an artist working in video. In 2015 she had her first solo here at the Hayward Project Space slow –co – ruption, a cacophonic installation of astroturf and multiple screens. That year she also had Bird’s Milk (2009) screened at ICA and is i am sky (2013) at Tate Modern, who then acquired the work in 2016. Over the last two years, however, she has moved away from video editing to making large, elemental sculptures of organic materials. 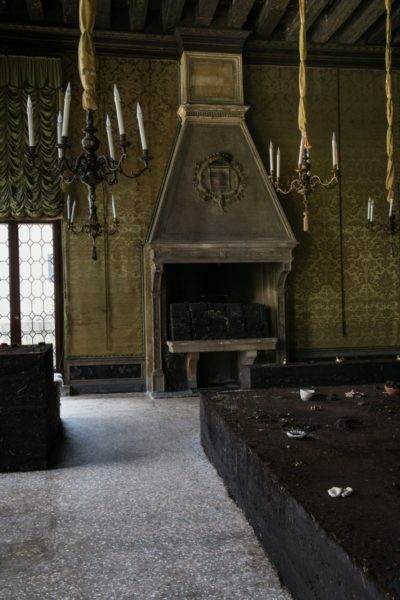 Bopape’s installation at Venice inhabits a side room of the Palazzo, its walls covered with damask silk faded by centuries of sunlight. This magnificent setting has been enriched by several rectangular blocks of black Ukrainian soil Bopape has sited there. They are at once incongruous and quite at home. The work spreads onto the balcony overlooking the Grand Canal and into the large stone fireplace. Within this earth sits feathers, wax, crystals, healing herbs, gold leaf, piles of ash, shells, bowls, rose petals and clay bearing the imprint of a hand squeezed into a fist. It feels recently abandoned, as if someone has been disturbed mid-ritual. Bopape’s objects could be the paraphernalia of a voodoo or obeah ceremony, African diasporic religions that were a form of resistance to European culture under slavery. 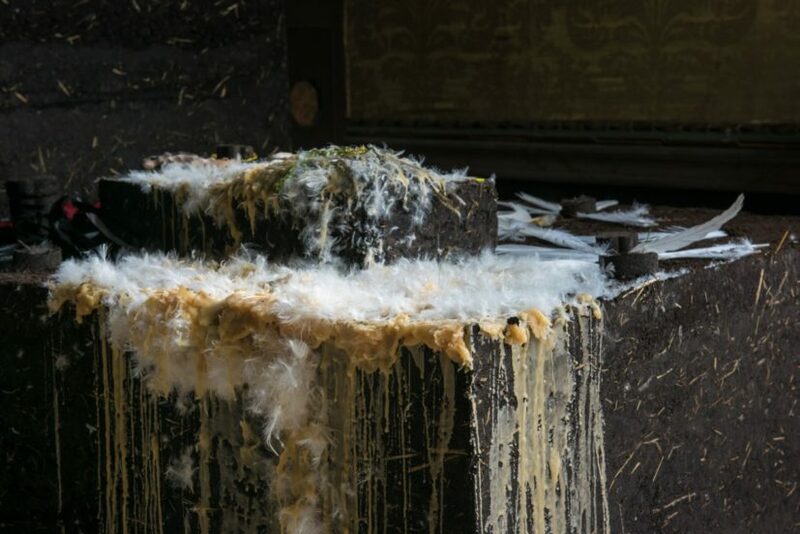 Bopape also engenders a feeling that the implanted organic material and the aging, decadent architecture of the chamber form a harmony of textures. They seem at peace as Venice sinks almost imperceptibly into the lagoon, a victim of the Anthropocene Age. Bopape has stated that she hopes to ‘tickle’ something in the viewer, to plant a seed of a memory, a tomorrow, a kind of inexpressible metaphysical encounter and in this she succeeds beautifully. Her work undermines the machismo of land art; her use of soil as a sculptural material couldn’t be further from that of Walter De Maria’s minimalist ‘Earth Rooms’ of the 60s and 70s, where it is calculated in cubic yards. Bopape rather probes the politics of locus and the concept of sovereignty for both land and body. Each material she places atop the earth is a metaphor for the land and landlessness, wealth and impoverishment. Holes are lined with gold leaf, for one example, a reference to the gold rush that led to the founding of Johannesburg. Her work explores the liminal area between the natural and the artificial, producing environments that summon a range of associations and oblique and evanescent meanings. She considers her works to be always in progress, matter to be reformed in response to different geographies and contexts. Over the last year, elements of work she developed for the São Paulo Biennial are reconfigured at Art in General, New York, and the Darling Foundry, Montreal before arriving in Ukraine and Venice for the Future Generation Prize. Born in 1981 in Polokwane, South Africa, Bopape lives and works in Johannesburg. She studied at the Durban University of Technology, was a 2007 graduate of De Ateliers in Amsterdam and earned her MFA from Columbia University in 2010. In her biography Bopape makes links with events that happened in the year of her birth, 1981. These include the deaths of Bobby Sands and Bob Marley, the Brixton riots, the launch of MTV, the identification of AIDS and the publication of Salman Rushdie’s Midnight’s Children, among others. She sees these simultaneous events as similar to a song that takes on its own life and associations in the memories of individuals but also functions as a collective memory. Her work has gained international recognition and been exhibited in numerous biennials; Sharjah (2017), Montreal, Marrakech, São Paulo (2016) and Lyon (2013), as well as having a solo show at Palais de Tokyo, Paris in 2016.